Cargo theft has been around for centuries; unfortunately, though the crime has evolved together with transportation methods. Bandits on horseback have been replaced by gangsters that are organized in international crime syndicates. Cargo theft is a global problem affecting manufacturers, logistics providers as well as customers. It is a complex problem influenced by factors ranging from local laws to the global economy. 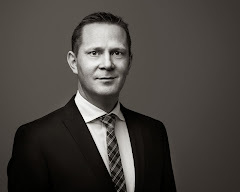 Jim Yarbrough, Global Intelligence Program Manager at the supply chain specialist BSI commented: "Companies have always faced a wide range of challenges to their supply chain, but [the] latest figures indicate how severe the impact of violent theft can be. 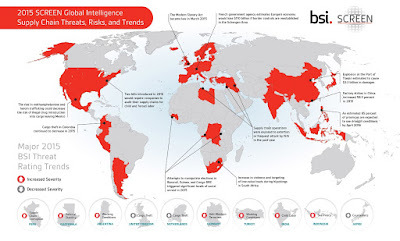 BSI has recently published the latest Global Supply Chain Security and Business Continuity Risk Index, that highlights the current supply chain security and business continuity threats faced by organizations worldwide. The integrity of the transported goods can be negatively affected by the stowaway attempts which have been significantly increasing because of the migrant crisis. Migrants hiding inside of containers on trucks or railways increase security risks, negatively affect the timely movement of cross-border freight which results in increased shipping costs. In 2015, 319 supply chain terrorism attacks were recorded by BSI. As the report states these attacks were reported in 33 countries that is 38% more than in previous years. Taking to consideration that the number of terrorists attacks on food, beverage and agriculture shipments has more than tripled while the number of attacks on pharma, metals, industrial and manufacturing cargo doubled since 2013, we can conclude that measures need to be taken to stop this deteriorating trend. Without proper security to address these threats, the global economy is more at risk now than ever before. In order to increase the security of global trade, Arviem has just announced its partnership with Powers International based in the US. The partnership will be working towards optimizing and strengthening supply chain security together with organizations such as the Interpol, Customs Cooperation Council and Nestle. Arviem’s market leading real-time cargo monitoring technology along with its American partner’s chain of custody solution will enable global cargo to come with a ‘digital passport’ that will serve as a verifiable transcript of the shipment’s journey. Arviem has the solution to keep the cargo visible by remotely tracking, monitoring and securing valuable shipments.